Hon Gai International Harbour on Ha Long Bay in the northern province of Quang Ninh is scheduled to put into operation next month. The harbour which can receive the world’s largest cruise vessels has a total investment of nearly VND1 trillion (USD45.54 million). Of the sum, VND300 billion is from the state budget, while the remainder is sourced from Sun Group. The harbour is 1.2 kilometres long, with the passenger welcoming area of 130 metres long. This will serve the world’s largest cruise 330 metres long and can transport 6,500 passengers. The terminal has three floors covering a combined area of 13,500 square metres. Vu Van Khanh, Director of Quang Ninh Province’s Department of Transport, most of the project has been finished for the operation in November. Around 100 luxury cruises dock in Ha Long Bay every year on average, bringing some 200,000 visitors. However, to date, due to the limited infrastructure, cruises often have to dock quite far from shore and then tenders are used to carry passengers ashore. Sometimes, it takes final passengers of cruises up to two hours to go ashore. 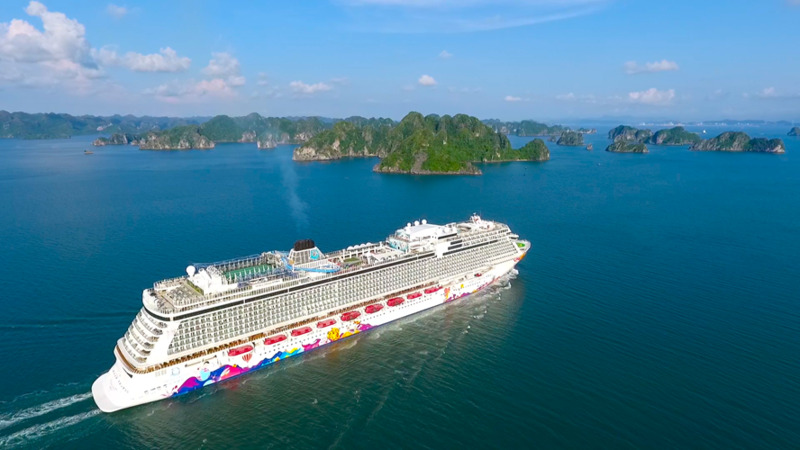 Once the harbour is fully operational, big international cruise firms could increase trips to Ha Long Bay.